Established since 1986, Noble Alchem is engaged in manufacturing wide range of SILICATES & TITANATES for various industries, catering to a wide spectrum of clientele. 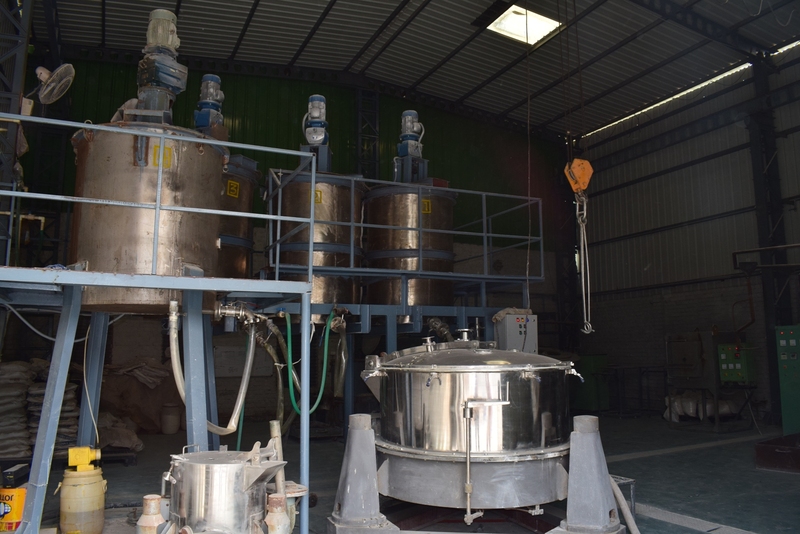 Established in 1986 Noble Alchem Group is engaged in the manufacturing of wide range of chemical products. We specialize in Silicates and Titanates of various Grades for various industries, catering to a wide spectrum of clientele. Our skilled, experienced and dedicated personnel coupled with the state-of-the art and modern machinery make us one of the best manufacturing facilities in the country. We procure only the finest raw material from all across the globe to manufacture high quality products every time. Our habit of sticking to schedules, integrity, hard work and fulfilling commitments to trade, consumers and community has won us many laurels – across the globe. Our manufacturing facilities are aided by well equipped laboratories & technicians so as to deliver products that match international standard. This has helped us address the demands of other countries also by fetching us export orders. We are the largest manufacturer of Potassium Silicates & Titanates in INDIA. We produce close to 30,000 MT of SILICTES & 500 MT OF TITANATES in our two manufacturing facilities strategically located at two different geographical locations in INDIA. For Domestic Markets, we have intentionally developed our own fleet of tankers for bulk deliveries in shortest lead-time. It helps us in reducing the client’s logistics & inventory cost and also ensures that the quality is not tempered during the transportation. For Global Markets, we have done specific tie-ups with various shipping lines & agents to ensure the lowest freight charges, which makes us more competitive. Our distinct and diversified products of superior quality, offering a vast product mix, manufactured at the best facility. We are the largest manufacturer of Potassium Silicates & Potassium Titanates in INDIA. Started Exports to U.S.A., MEXICO, KENYA, TANZANIA, EGYPT, SAUDI ARABIA, MALAYSIA, INDONESIA, PHILIPPINES, VIETNAM and other AMERICAN, AFRICAN & ASIAN markets.